Hey everyone ! I am very very excited as this is the first time I am hosting a challenge on my blog, or absolutely anything for that matter :D . So I would request you to go a little easy on this one. 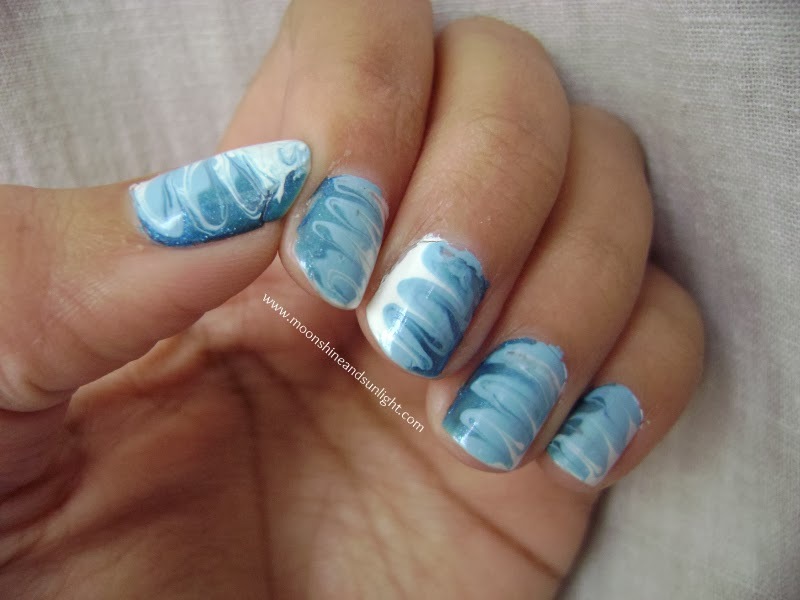 So here goes the first nail art for my nail art challenge. Read on and add your link too ! 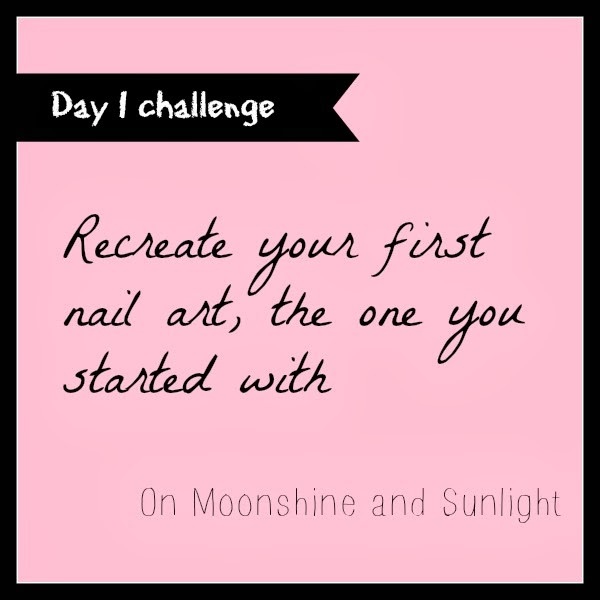 Today' theme is about the first ever nail art you did and posted on your blog , you can also post a nail art which you did but couldn't post it for some reason. You are free to use a different set of colors here if you want to. 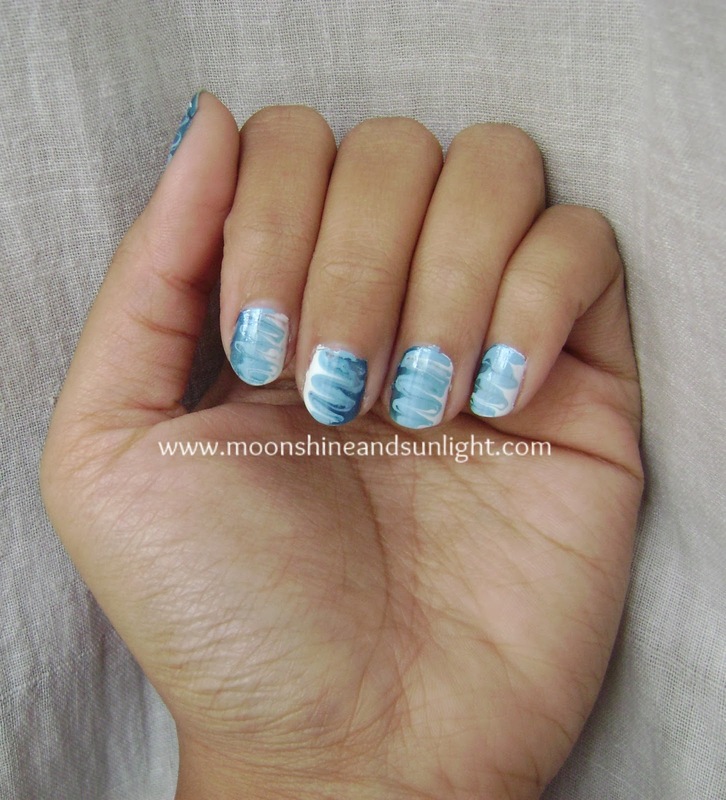 The reason behind this theme is just to remember the feeling of doing the first nail art on your own. Whether it was perfect , not perfect at all ! doesn't matter ! Cause anything, when you do it for the first time is special :). 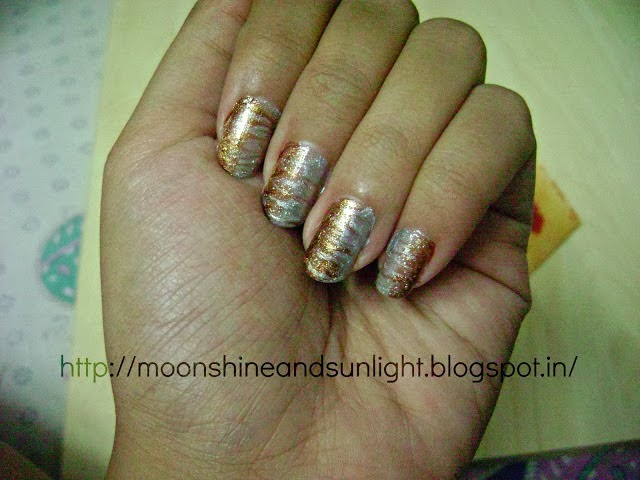 This was a pin marbled nail art with three nail colors (silver,golden, silver glitters). So I have recreated this with 2 blue colors and white. and finished it off with Maybelline Color show crystal clear as the top coat to smooth-en. 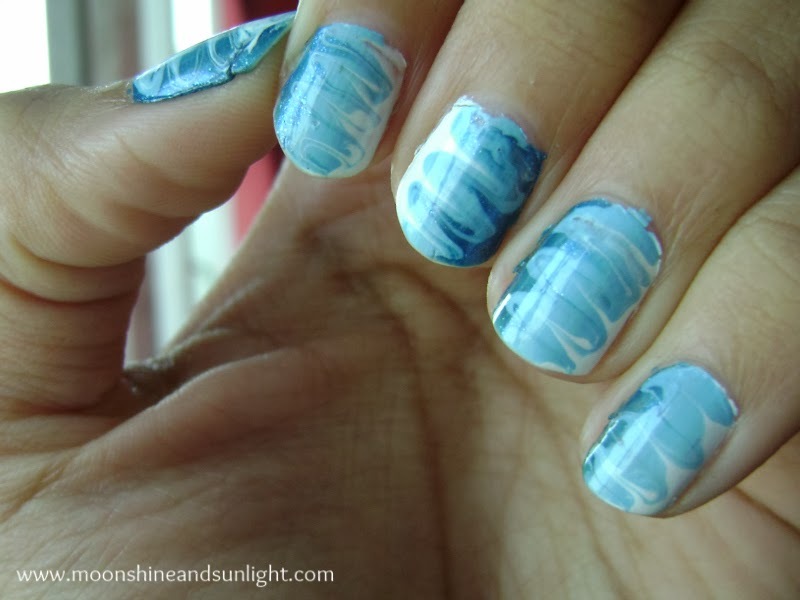 I did not use a top coat when I first did this with the metallic colors. Just after finishing the nail art I broke a little bit of my thumbnail. (painful!!!) And here as i had promised I tried to clean the extra polishes but was able to do it to some extent without removing the actual nail art. I really need to work on the finishing more. This is superb Priya! Absolutely loved it!